Climate change is massively affecting the tiny creatures in Luquillo rainforest on the island of Puerto Rico in the Caribbean region. A research paper published in the journal Proceedings of the National Academy of Sciences on October 15 says that researchers landed at this number after noticing the number of insects in the sticky traps they put up under forest’s canopy between 1976-77 and 2012-13. When scientists recovered samples from the forest floor they observed that insects had decreased by four to eight times within this period. They used a measurement of insect biomass in milligrams to estimate the change in number of these organisms. Earlier, studies had predicted a 20 per cent decrease in insects owing to climate change. The current study shows a parallel decrease in the number of animals that feed on insects like lizards, frogs and birds. 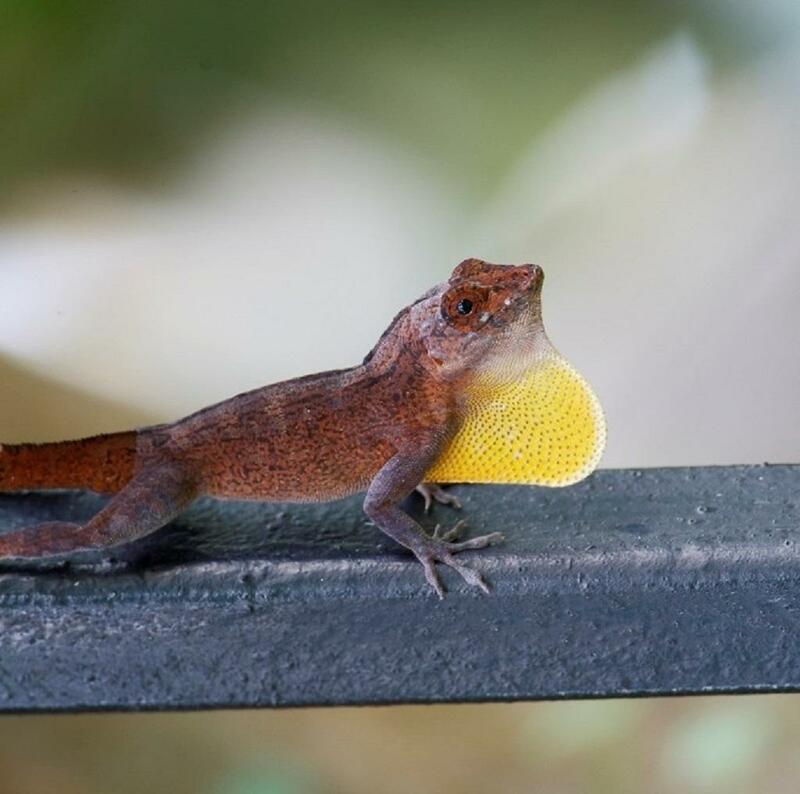 For example, the number of Yellow chinned Anole lizards, which are commonly found in the area, had decreased by 25 per cent and the green-coloured Emerald Anole lizard had reduced by 91 per cent. The study also finds that the rainforest’s temperature has increased by 2 degree Celsius in the past 30 years which is a consequence of global warming. This has negatively impacted the forest’s food web, which results from a complex interaction of different species of plants and animals in an ecosystem to fulfill their nutritional requirements. Insects form one of the most crucial components of food webs as they play the role of prey, predator, pollinator and herbivore. So their death and extinction will eventually lead to a rapid collapse of food webs in the rain forest. The Intergovernmental Panel on Climate Change’s (IPCC) latest special report has also warned that tropical rainforests like the Amazon will lose a significant amount of biomass (trees, shrubs and grasses) if the planet warms by 1.5-2 degrees Celsius. Also, it says, if the warming increases to 3-4 degree Celsius, trees will die off at a much quicker rate after reaching a tipping point, induced by droughts and fires. When the original trees of a rainforest die they are replaced by shrubs and grasses which are more prone to forest fires. As the area covered by such vegetation increases it also increases the occurrence of forest fires. When rainfall in forests decreases, growth of new trees stops and this reduces evaporation and then rainfall which becomes a climatic tipping point. The reduction in forest cover will also impact animals, who depend on the plants for food. Cold-blooded animals, like insects, will suffer more as they have evolved to adapt to a particular temperature range throughout the year. Scientists have also predicted that increasing temperatures will decrease reproduction rates of insects and also increase the rate at which they digest their food. Such impacts might have led to the catastrophic decrease in insect population in the Luquillo forest of Puerto Rico. The current paper also implores for further research into the effects of climate change which might find previously unknown and disastrous results.